This was Chris Jones’ response when he found out he had been given a job at Bridge Community Farm in Ellesmere Port. The honest reaction of the 20-year-old with learning difficulties from Saughall moved many people to tears that had been backing Chris in his search for a better life, especially his manager Clair Johnson. 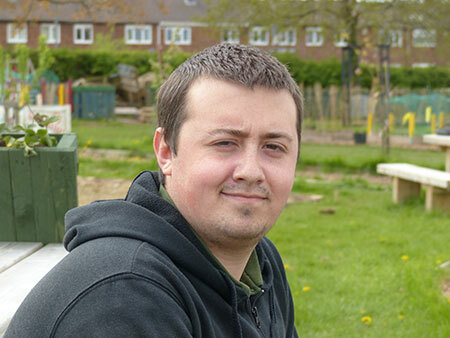 Chris was involved in Cheshire West and Chester Council’s Work Choice scheme. It offers employment support for adults with disabilities and long term health conditions. The Council team is able to help employers recruit staff with additional needs by supporting them to make adjustments in the work place and to raise awareness with wider staff in how to support their new colleague. The new employees are mentored, including on the job training to help them succeed in their new role. Matthew Wilkinson has recently started working on the farm as part of the scheme and his life has changed hugely as a result. The 22-year-old from Ellesmere Port said: “From the age of six, I was bullied so it took a toll on me. For a long time I would just sit in bed and watch the day go by. Ryan Sims, 21, from Blacon, started working at the farm two years ago and struggled with confidence at first. He had never been on a bus on his own before starting this job so the team at the farm supported him over eight weeks to give him the skills to use public transport and to make his own way to work. Clair said: “The first day Ryan came on his own, he skipped through the gate and I was in a meeting at the front here and he had me in floods of tears, he said I’ve done it, I‘ve done it, are you proud? 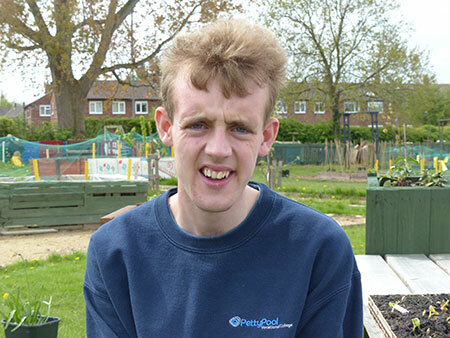 Ryan has improved so much since then and he has been able to secure a permanent job at the farm after his funding period ended. Ryan added: “I go to the Countess of Chester Hospital market on a Wednesday and have been doing that for a year. We sell fruit and veg that are grown at the farm and we do really well at the Countess because we get a load of customers there. Clair said: “They are all good lads who come here and I don’t think they would thrive as well as they have unless we had the Council willing to support them and give them the nudge in the right direction. “The farm here is fantastic, we have 12 acres of land so we can work a space if people aren’t good in groups. They can work individually or can work in a group. There is so much that goes on here. There are activities galore for old and young. 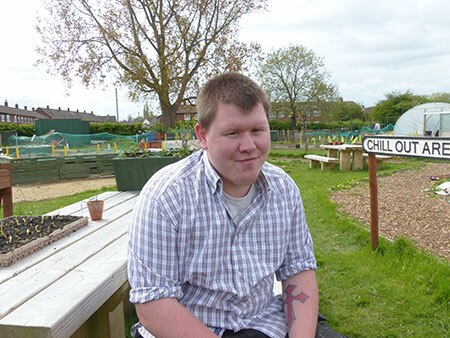 We predominantly deal with adults with learning difficulties and mental health issues. Cllr Louise Gittins, Cabinet Member for Communities and Wellbeing, said: “It can be difficult for people with learning difficulties to secure employment, despite the fact that people have many skills and qualities to offer organisations. The Council has just launched a new Local Supported Employment Service to continue this work supporting the employment of adults with learning disabilities or mental health issues so if there are employers in west Cheshire who want to get involved in supported employment or people who are looking for this type of employment support for themselves or a family member, contact LSES@cheshirewestandchester.gov.uk.